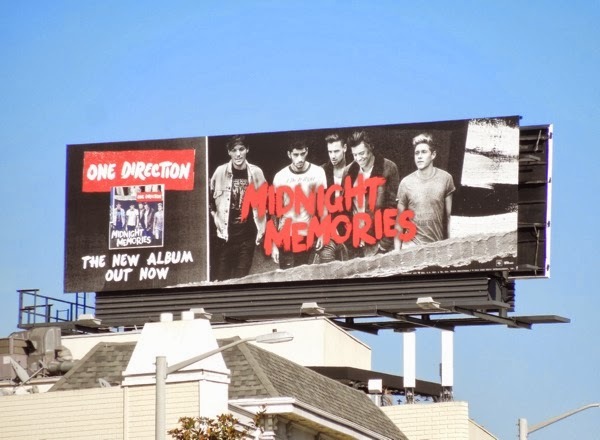 Lady Gaga isn't the only one with a new album out this month, as those boys in One Direction have a new record dropping on November 25, 2013. This third studio album from the British and Irish boy band has already seen tracks 'Best Song Ever' and 'Story of My Life' released in advance of the new album. 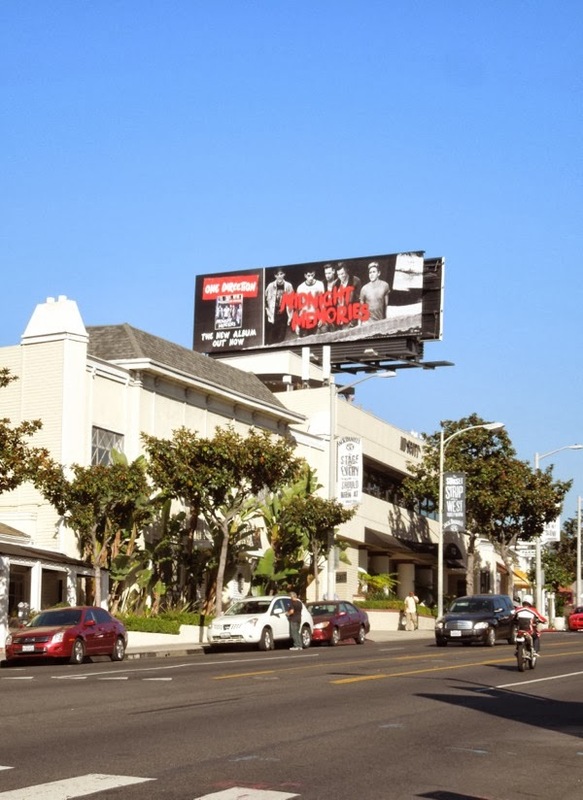 Harry, Zayn, Niall, Liam and Louis are back in the skies of L.A.'s infamous Sunset Strip with this Midnight Memories billboard and looking a bit more grown up now. 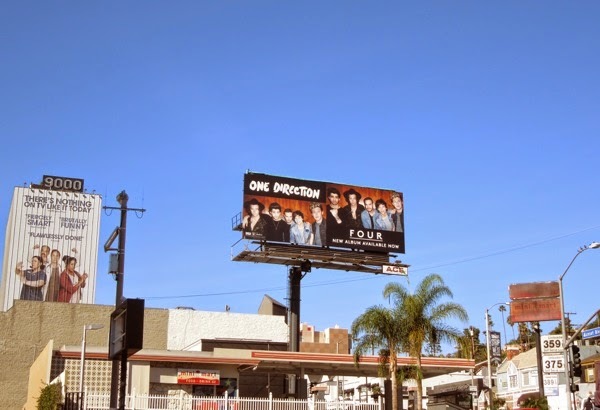 If you're a fan of the group that started life on the U.K.'s version of The X Factor in 2010, be sure to check out these One Direction billboards for their Take Me Home album last November. 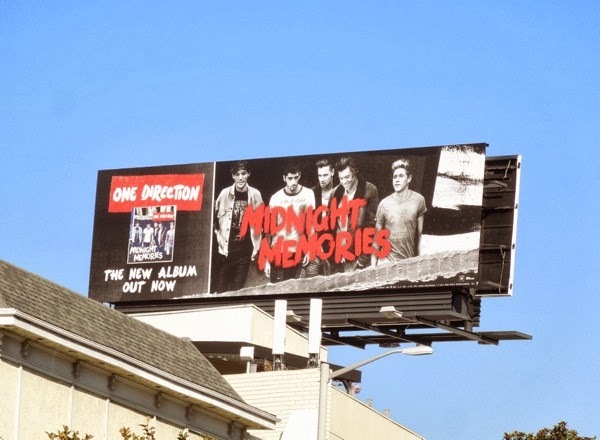 UPDATED: 1D fans will also enjoy this billboard for the boys latest album, Four, snapped along the Sunset Strip in West Hollywood on November 17, 2014. 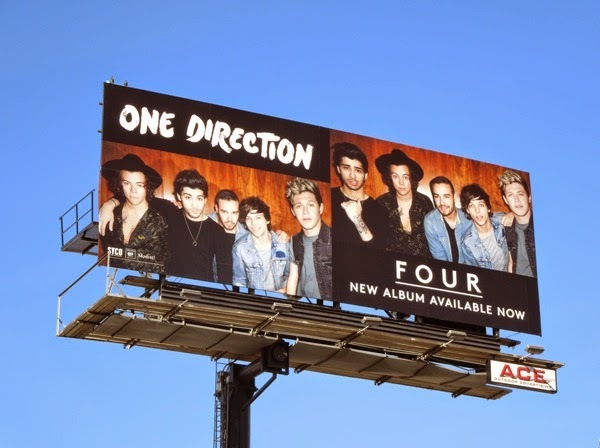 UPDATED: Another year, another album, this time their first without Zayn Malik who left the group in March this year. 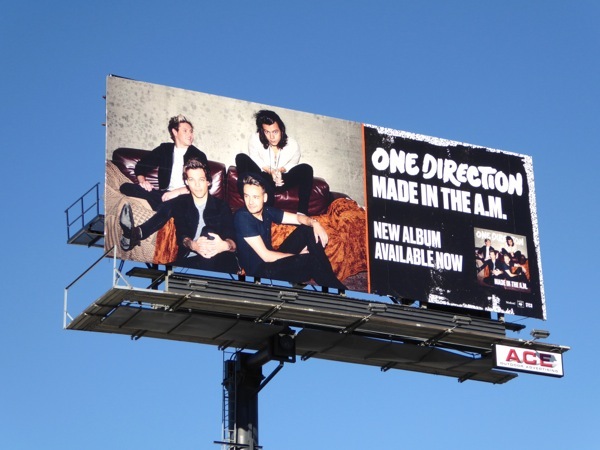 This Made in the A.M. album billboard was snapped in the same Sunset Strip ad location on November 11, 2015.